Like many other Web sites that also makes use of log files that record the history of operations as they are performed. The information inside the log files includes IP addresses, type of browser, Internet Service Provider (ISP), date, time, entry and exit page, and the number of clicks. All this to analyze trends, administer the site, track user’s movement within the site, and gather demographic information, IP addresses and other information. Such data is not linked in any way to user identity. 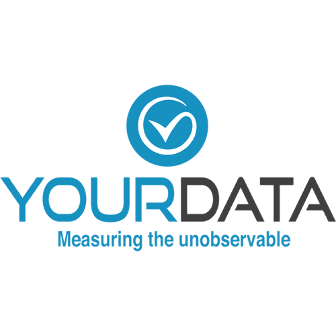 The holder of personal data is YourData Srl. The data collected through this website, independently or through third parties, are: email, cookies, usage data, name, phone number, occupation, province, state, country, zip code, gender, date of birth and city. The personal data can be entered voluntarily or collected automatically when using this web site. In case of non-acceptance of these conditions may impede the execution of successful services provided by this website. You are responsible for the personal data of third published or shared through this website and warrant that you have the right to communicate or disseminate them, freeing the owner from any liability to third parties. The holder will process the personal data of users taking all necessary security measures to prevent access, disclosure, alteration or unauthorized distribution. The treatment is done using computers. In addition to the owner, in some cases, they may have access to personal information to personnel involved in website management (administrative, commercial, marketing, legal, system administrators) or external parties (such as service providers, hosting providers, communications company). The data are processed at the offices of the owner and in every other place where the parties involved in the treatment are located. The data is processed for the time necessary to perform the service requested by the user or required by the objectives described in this document. The user has full power to require discontinuation of treatment and deletion of data. The user data are collected to enable the holder to provide their services: contact you, management of sending emails, statistics, social integration external network, displaying content from external platforms, marketing and behavioral surveillance surveys.